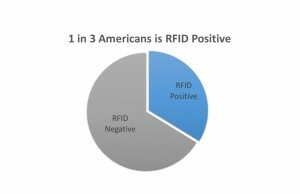 Our work has shown that approximately 1 in 3 individuals in the United States is carrying an RFID microchip. Our sample size was sufficiently large (n=2955) and was spread throughout three distinct geographic regions. Thus, we are comfortable extrapolating our finding to the broader American population. 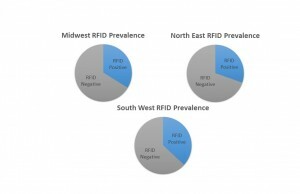 Intriguingly, the most frequently identified location for an RFID microchip was in tooth fillings. 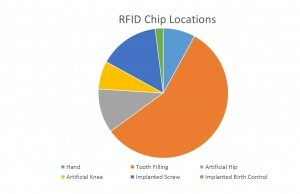 This is contrary to popularly held belief that RFID chips are inserted in the dorsal of the hand near the thumb. More investigation is required to understand the significance of this finding.